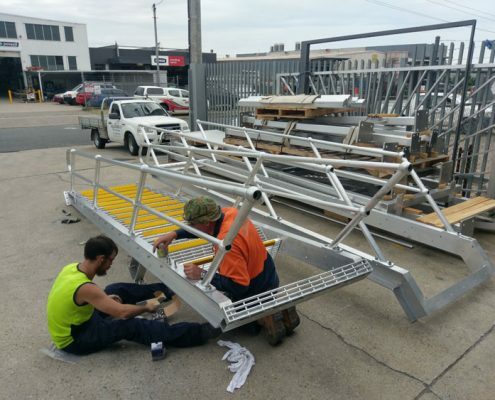 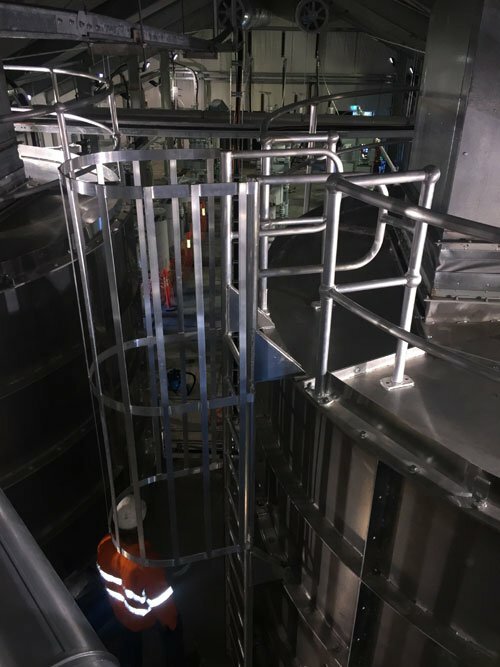 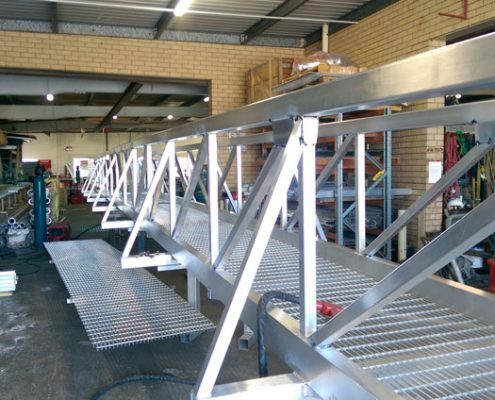 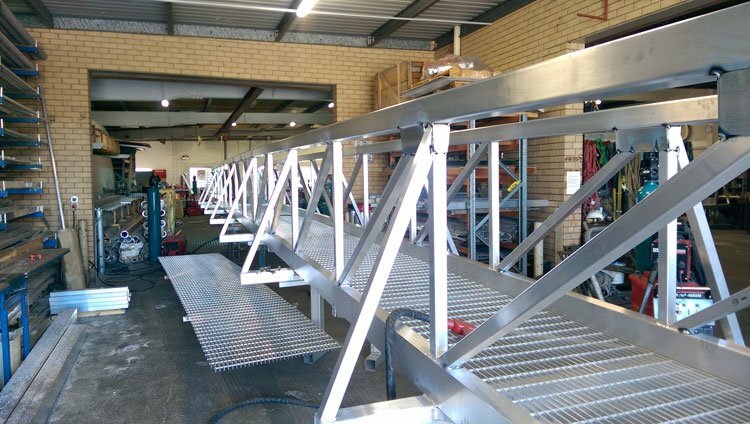 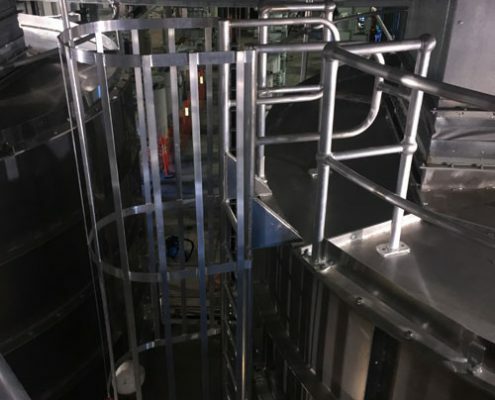 At Aliweld, almost everything we manufacture is custom built such as aluminium access stairs, aluminium walkways, aluminium platforms, aluminium handrails and more. 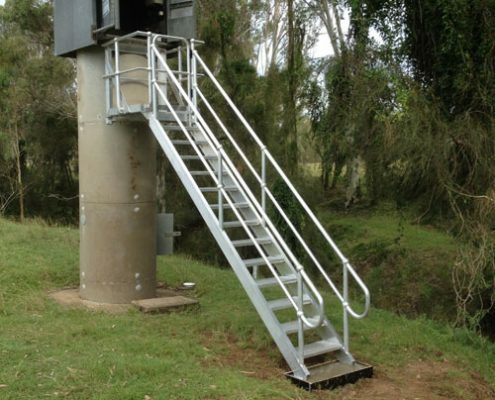 Aluminium access equipment is our speciality, however. 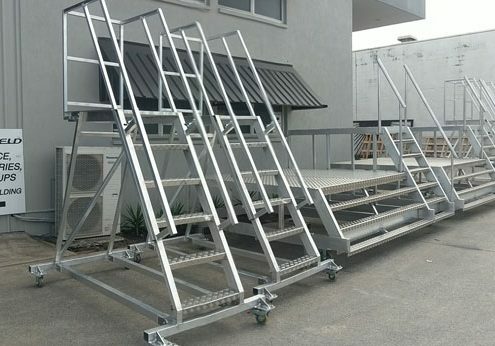 Aluminium work platforms, aluminium access stairs, truck access platforms, aluminium walkways, aircraft access stairs, etc. 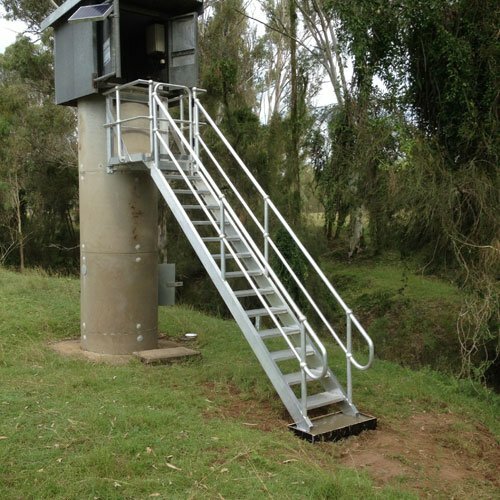 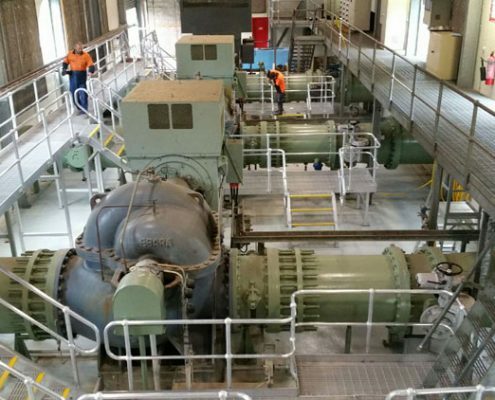 All complying with Australian standards. 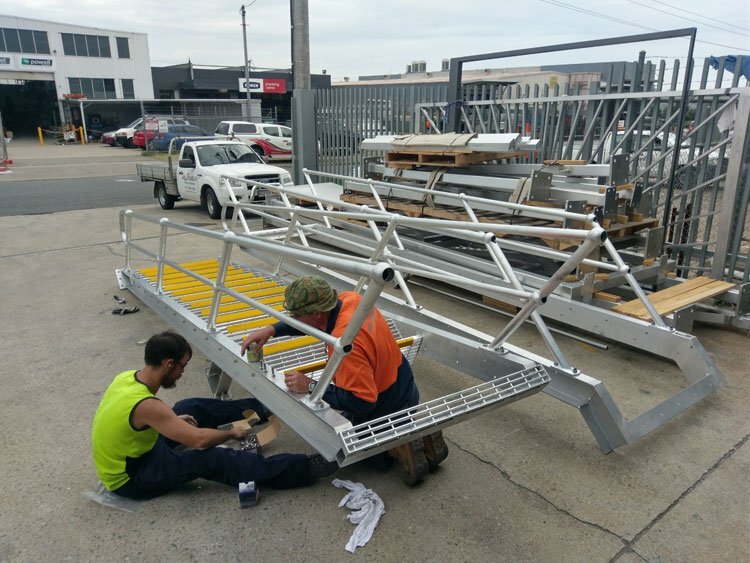 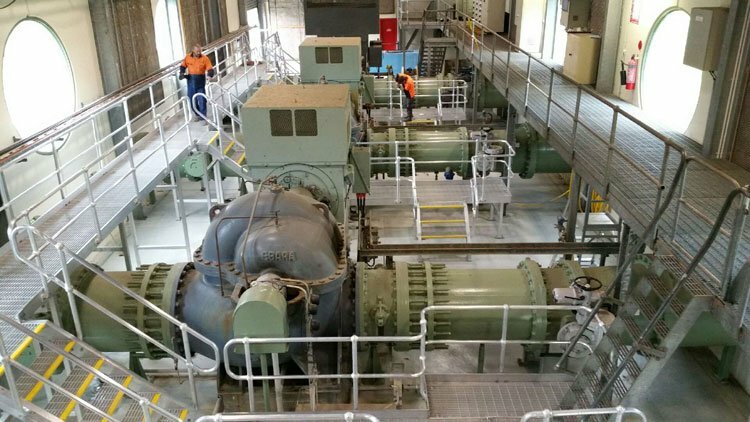 Aluminium grating, walkway mesh, GRP tread material, galvanised steel, we will use a variety of materials to achieve the best result.